"The OMMA events are always very, very well organized and informative. The speakers from well known brands and the case studies from solutions providers highly relevant." "I love the way dialog develops throughout the day at these OMMA events! The keynotes and sessions were all interesting. Great events!" 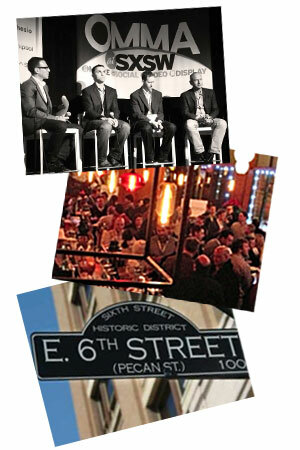 "OMMA@SXSW continues to be a wonderful oasis within the mayhem and excitement of the SXSW Interactive festival. With great access to brands, agencies and technology partners in a venue that is top-notch, the outcome of the sessions both in terms of information and networking are routinely among the best of the SXSW experience. 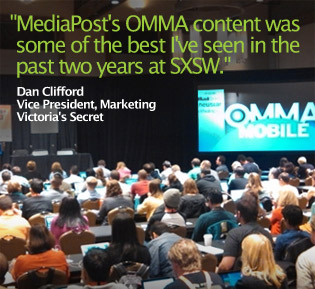 Kudos the to MediaPost team and all participants in OMMA@SXSW programming. We can't wait to return next year!" - Brian Slattery-Gaston, VP, Consumer Marketing, House Party, Inc.